This will be the last holiday shopping season for the Toys ‘R’ Us flagship location in Manhattan, as the retailer plans to leave its 110,000-square-foot mega-store at the end of the month. Toys ‘R’ Us decided not to renew its lease for the building, marking the second time the company has closed a major toy-related tourist destination in NYC. In July, the company shuttered the historic FAO Schwarz store. The soon-to-close Times Square store, which features a giant indoor Ferris wheel, a life-size Barbie house, and a 20-foot Tyrannosaurus Rex dinosaur, will officially shut its doors for good on Dec. 30. 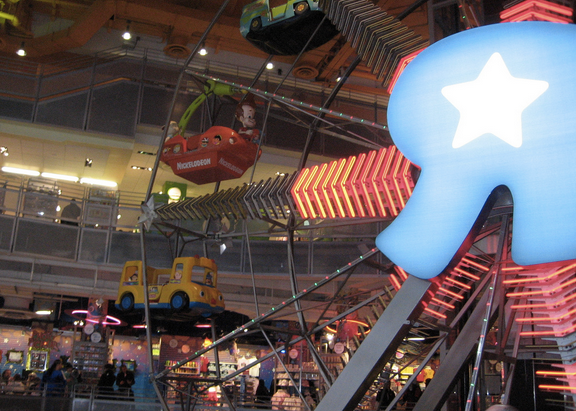 A rep for the toy store chain tells Business Insider that it’s currently searching for another space for a flagship store in Manhattan. Toys ‘R’ Us CEO Dave Brandon told CNN Money last week that it was “bittersweet” watching crowds at the store on Black Friday.